Where various events take place every day like fashion shows, food events and TV shows etc. 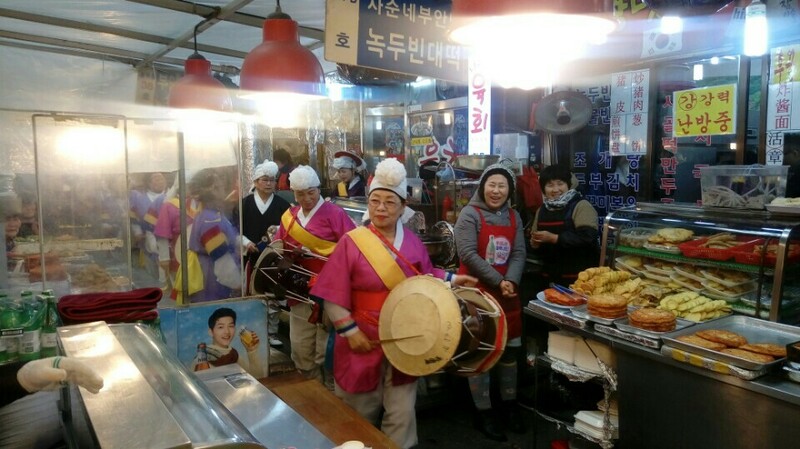 Visitors to Kwangjang market, merchants, housewives, young man – woman, old man – wonman, fashion models, singers and other entertainers and broadcast staff! All come together and let’s hang around. Enjoy the Hanbok Fashion Show, where visitors to Kwangjang market, merchants, housewives, young man – woman, old man – wonman and fashion models participate.